First off, Amanda is the winner (and the only one who entered :) ) the giveaway for these two books. Enjoy, Amanda! By the end of the 28 days, I hope that I am in the regular habit of reading my bible first thing in the morning (I'm joing Red and Honey's 30 for 30 for this), and doing the basics around the house, every.single.day. During these 28 days, I will be following the book 28 Days to Hope for Your Home, in addition to working on some extra assignments to get things in order around here. Do your dishes! Now, and every single day. Make that your first habit. As simple as that sounds, it works! I feed 4 kids, 3 or more times a day. I cook every meal (okay, there are days where I just stick a Pizza Pocket in the microwave! ), and I have lots to wash. I don’t normally wash dishes as we use them. 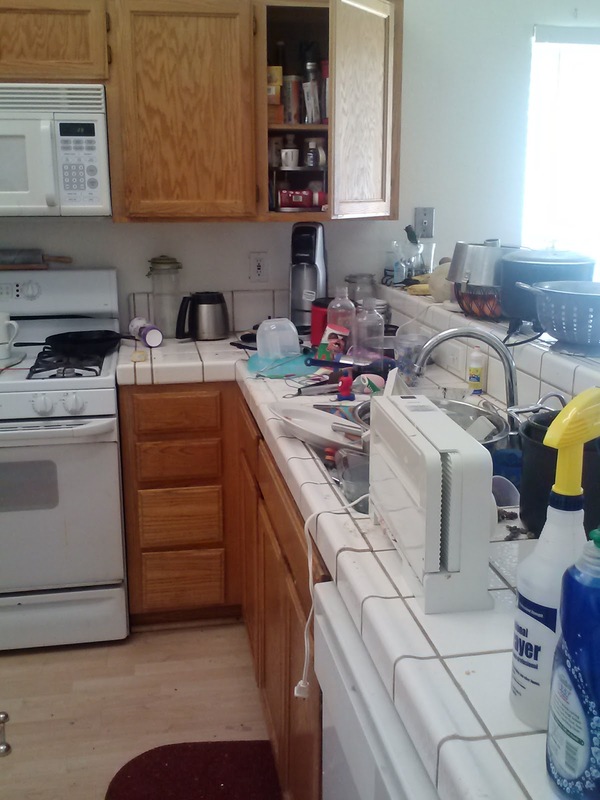 I let the dishwasher get full, start it, and let clean dishes sit, while we are dirtying more dishes. 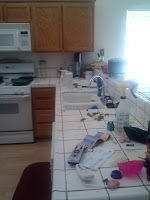 I let dishes sit in the sink, or on the counter, overnight. Most nights. After reading the first, and most important habit of the book, I got up, and washed my dishes. I focused on doing only my dishes, and you know what? 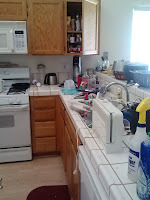 Once they were all clean and put away, I could actually get to the counters to wipe them off! And you know what else? I wanted to clean the rest of the kitchen. If you have little ones you need to keep occupied, a dumped out Battleship game does wonders for keeping them busy! I didn’t dump the game out myself, the kids gladly helped with that last week, but I’m thinking that the next time I have a time-consuming project, I’ll either be dumping the game, legos, or puzzles. Not kidding. I will probably not go in order, and some days I'll work on the master bedroom, or the kids room, because my cute little tornadoes are very sporadic on the rooms they destroy customize. If you are joining me, I'd love to year about your journey in the comments throughout the challenge! And if you're a blogger, please share your link if you are document your "spring cleaning", whatever that may look like for you.